Young people across South Ayrshire are being given the opportunity to develop language and cultural ties with China. 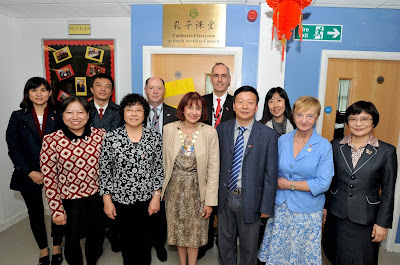 The Council officially opened its first Confucius Hub at Queen Margaret Academy in Ayr on Thursday 22 September, 2016. 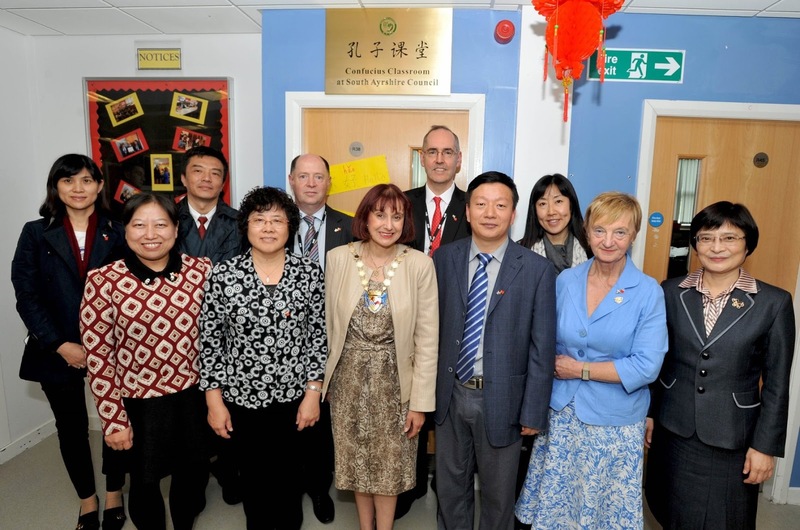 South Ayrshire Council has been actively working with the Confucius Institute for Scotland’s Schools, which is a national centre, funded by the Scottish Government and Hanban/the Confucius Institute Headquarters of China. It was established in 2012 in partnership with Tianjin Education Commission. The purpose is to promote Chinese language and culture in schools. From that beginning the Council has developed its own dedicated classroom hubs, which will be working with secondary and primary schools across South Ayrshire by the end of 2016. In 2015/16, as part of the Hub programme, a Chinese teacher worked with 600 young people aged 3-17 from schools across South Ayrshire. Activity included: improving language skills, and raising cultural awareness through activities such as Chinese dance and calligraphy. Other activity has included two 17-day cultural tours to China. In 2015, participants took part in a celebration in Beijing with Scotland’s First Minister, Nicola Sturgeon, at an event designed to foster closer relations and business links between Scotland and China. Councillor Margaret Toner, South Ayrshire Council’s Portfolio Holder for Lifelong Learning, said the Hub approach made sense. “The Hub at Queen Margaret Academy has already established itself as a valuable resource that’s benefited hundreds of people, and we will build on that success in the coming years. “China already enjoys close ties with Scotland and anything which prepares the next generation to take advantage of new opportunities is welcome.